What is a Bachelor of Science in bioengineering? This program is tailored to students who want to use engineering principles to analyze problems and design solutions in the fields of healthcare, medicine and biology. It’s a truly interdisciplinary program, with courses in both the College of Engineering and Physical Sciences and the College of Life Sciences and Agriculture. Graduates from the bioengineering program solve problems at the interface of biology and engineering in the fields of biotechnology and pharmaceuticals, as well as medicine and biofuels. 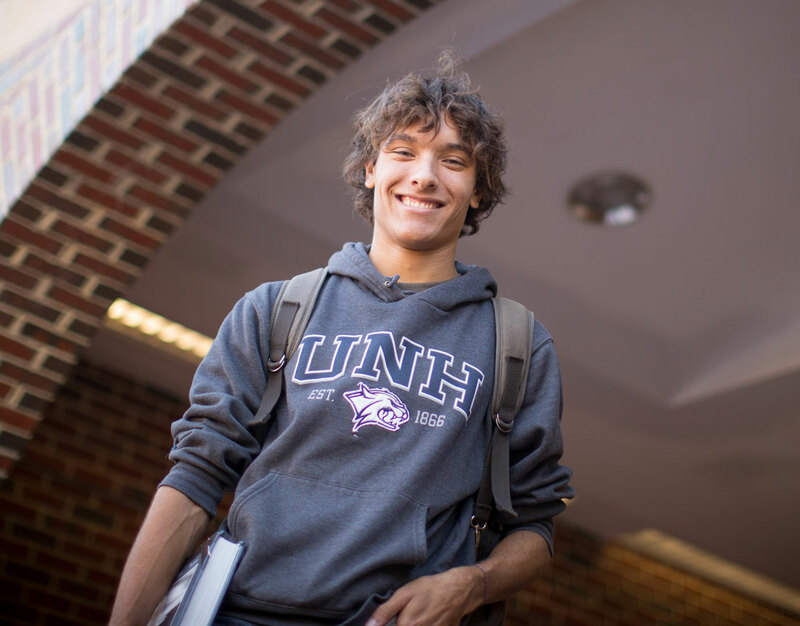 Why study bioengineering at UNH? You’ll gain a solid foundation of biology and engineering principles through challenging courses and hands-on learning opportunities in our state-of-the-art laboratories. 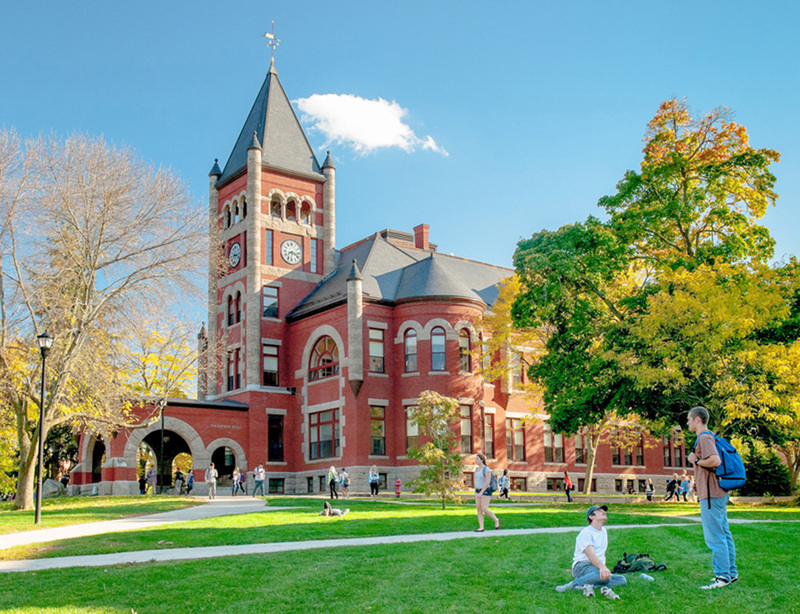 Our faculty have a broad background in modeling physiological and biochemical processes, enzyme kinetics, synthetic biology, biomaterials and biosensor development and related topics such as tissue engineering. Electives let you adapt your program to prepare for medical school, other graduate studies or careers in biomanufacturing, biotechnology or biomedical engineering. See how Salimah Hussien ’18 served as a mentor and helped facilitate activities at the First Avenue Institute’s Girls Winter Camp in South Africa. Bioengineering, as defined by the NIH, is "the application of life sciences, mathematics, and engineering principles to define and solve problems in biology, medicine, health care, and other fields." The bioengineering program will train graduates in biology and physiology as well as engineering. The program will provide graduates with capabilities in advanced mathematics (including differential equations and statics), science, and engineering. Graduates will be conversant with solving problems at the interface of biology and engineering that may arise in the fields of biotechnology and pharmaceuticals, as well as medicine and biofuels. By graduation, students will have experience measuring and interpreting data from living systems and addressing the interactions between living and non-living materials. Students are required to obtain a minimum 2.0 grade-point average in CHE 501 Introduction to Chemical Engineering I/CHE 502 Introduction to Chemical Engineering II and in overall standing at the end of the sophomore year in order to continue in the major. Study abroad (Exchange) students are required to have a cumulative GPA of 3.0 or better in math, physics, chemistry, and other required courses at the end of the semester prior to their exchange semester. For more information on the bioengineering program, please contact Russell Carr, professor and chair, Russell.Carr@unh.edu. MATH 425 Calculus I satisfies the Discovery Foundation Quantitative Reasoning category. CHEM 405 Chemical Principles for Engineers satisfies the Discovery Physical Science (with lab) category. ENGL 401 First-Year Writing satisfies the Discovery Foundation Writing Skills category. At least four of the elective courses must be engineering. The bioengineering program seeks to provide an environment and opportunities that enable students to pursue their goals in an innovative program with a diversity of offerings that is rigorous and challenging.